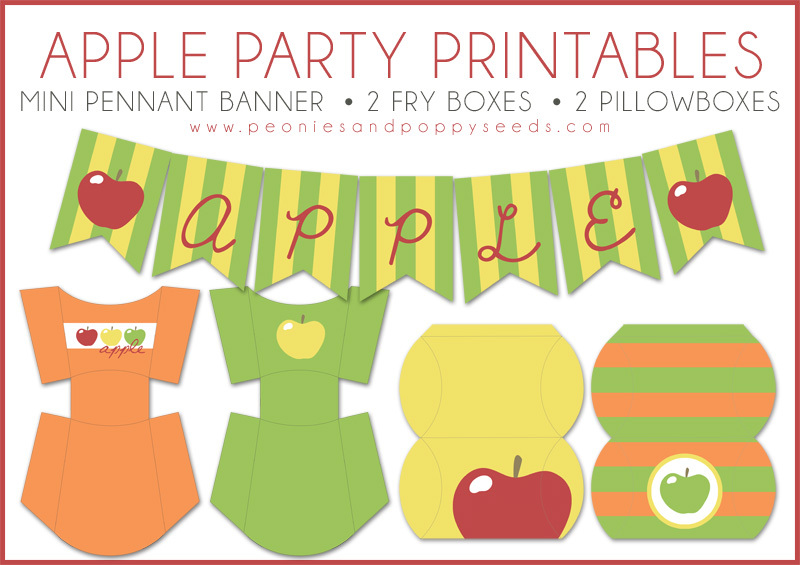 This is the second half of our apple party printables. Use the mini pennant banner to string across a cake or as a table decoration. Then pack the fry boxes and pillow boxes with yummy apple-y goodness! If you end up with lots of extra apples from your family apple harvest, you can always freeze, dry, can, or sauce the rest. Then you can enjoy them all through the fall and winter!